Wow, Nicola. 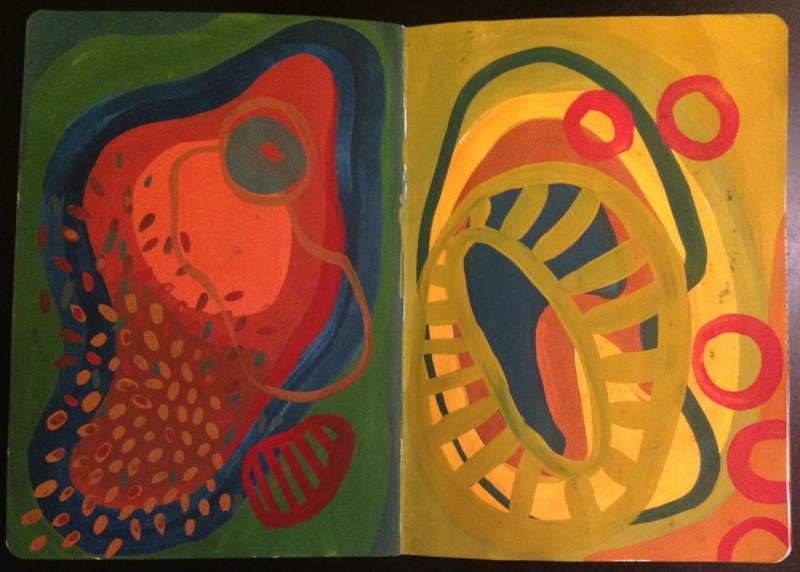 There is a sumptuousness to the colors and shapes on these two pages. Their shapes remind me of ears and eyes and the delight of the senses. Thank you for your observations, they are always spot on. This piece, like quite a few recent ones seem to be about people, particularly in conversation.